Mama Mo Stamps: Wild & Wonderful Release Sneak Peek! Wild & Wonderful Release Sneak Peek! Hello there! 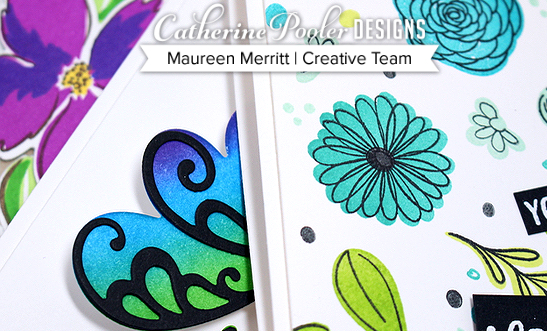 I'm popping in quickly today to share a sneak peek of the upcoming Wild & Wonderful release from Catherine Pooler Designs. The new products will be available in the CPD store on May 22nd. That's also when the Creative Team begins the first of three days of blog hops. Make sure you pop in on the 22nd to hop along!! See you then! Beautiful card, Maureen. Really can't wait for the blog hop to start cause there are some gorgeous inks, stamp sets, so can't wait until May 22nd to roll around. Thank you for sharing this card love the colours you have chosen.